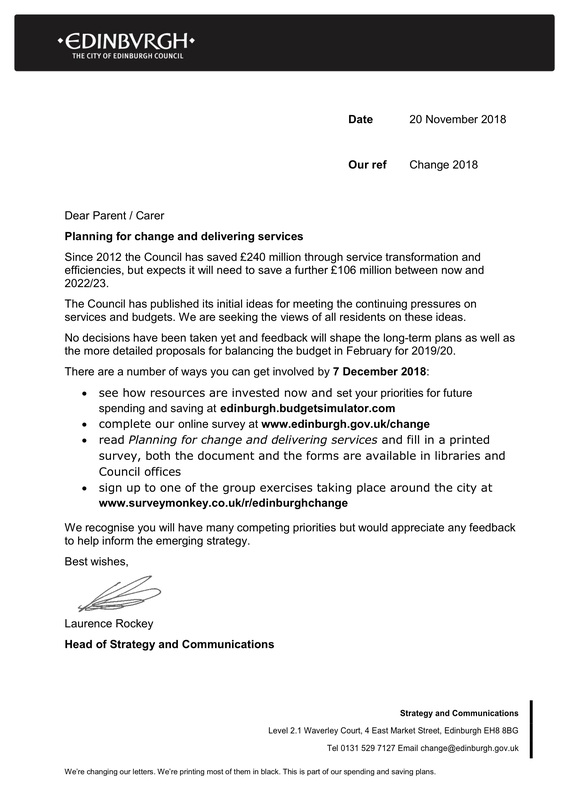 “Since 2012 the Council has saved £240 million through service transformation and efficiencies, but expects it will need to save a further £106 million between now and 2022/23. Planning for change, delivering services 2019-2023 was published in September 2018 and sets out initial ideas for meeting the continuing pressures on services and budgets. We are seeking the views of all residents on these ideas. No decisions have been taken yet and feedback will shape the long-term plans as well as the more detailed proposals for balancing the budget in February for 2019/20. This entry was posted in News, News & Events and tagged community, Edinburgh City Council, parental information by tynecastleadmin. Bookmark the permalink.